Sony India has a teaser on it’s Facebook page indicating an event on March 6th, with a tag line “Everything is about to change”. The event appears to be related to the new Sony Xperia Z official launch in India. Sony Xperia Z was originally unveiled at this year’s CES and later Sony announced the availability of the Xperia Z in 60 countries during MWC 2013. Sony Xperia Z is the Sony’s Flagship device for 2013, it comes with impressive specs along with water and dust proof design. Facebook cover page with the date and punch line also includes a device in the background, which looks like the Sony Xperia Z. It also created a microsite with the same punch line and countdown timer. 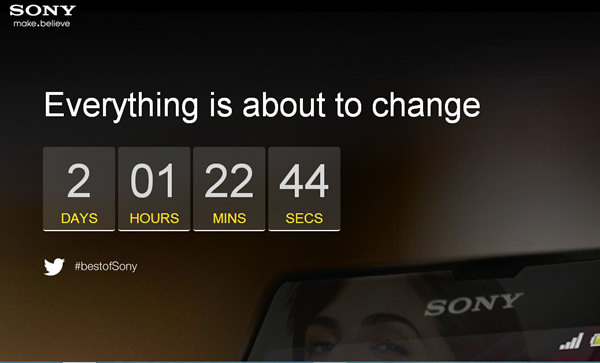 The microsite also features a background image of Xperia Z. Sony brags the launch on a Facebook post: “Coming soon another best of Sony on 6th March” along with a link to the microsite. So far Sony has not officially announced the Xperia Z price for the Indian market but expected to be in the range of Rs.35,000. 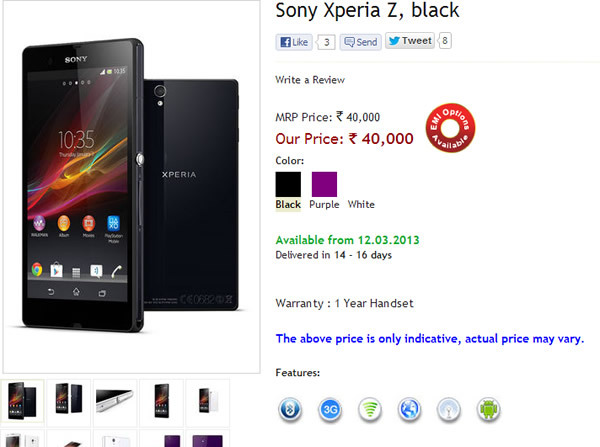 The Mobile Store has listed the Sony Xperia Z at Rs. 40,000, and says “The above price is only indicative, actual price may vary.” The store has listed Black, White and Purple colors for pre-order. That means the official price might be around INR 40,000 and the best buy price for consumers might be less than 1 or 2k after launch. 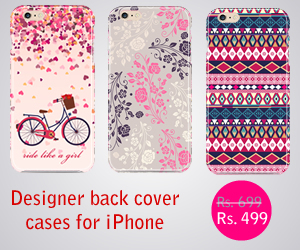 The Mobile Store also listed the available date as 12th March. If you are waiting for this phone you can pre-order now, or wait for 2 days for the official launch to get clear price information and probably other online retailers like Flipkart will also carry this phone. Sony Xperia Z is powered by a 1.5GHz Quad-core processor with 2GB RAM and 16GB internal memory. It is a 5-inch Android smartphone, runs on Jelly Bean OS. See Sony Xperia Z Full Phone Specifications.